Last week we posted about placing water in the High Frontier internal colony prototype. Since then, we’ve improved that feature quite a bit, as you can see here. We’ve developed a custom shader that draws much nicer grass, without the usual tiling artifacts that made it look so artificial before. And, we now switch to sand for any land below the standard “grass” level. 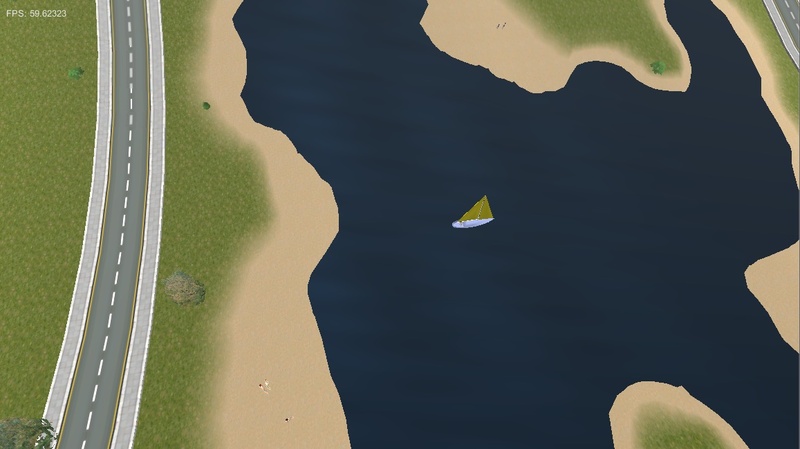 This is combined with a much nicer user interface that makes it easy to paint smooth, gentle coastlines and beaches. Speaking of improvements, you may be wondering when the next version of High Frontier is coming out. We’ve released one major update every week or two since the beginning, and version 0.10 came out two weeks ago tomorrow, so where’s version 0.11? The truth is, we’ve been working hard on things we need for our KickStarter campaign. We hope to launch that before the end of the month, but putting together a decent campaign is a lot of work, and we want to do it right. But that doesn’t mean we’re not making progress… including the work on the internal colony prototype, as you see above. All that will make its way into the game (and therefore, into your hands) soon, so please stay tuned!